Telltale's take on Game of Thrones arrives tomorrow, but the launch trailer is here today. It's dark, gloomy, violent, and carries a singular message: This is not a good time to be a Forrester. True fact: When you declare that you are unwaveringly loyal to the crown, and the royal representative asks, "Are you?" it's time to start looking for the door. A "long and sordid history" with the bannermen of House Bolton doesn't help smooth those waters, but such is life when you're a Forrester. It all adds up to compelling drama on television, though, and hopefully in adventure games as well. 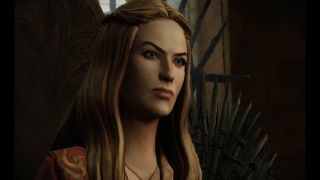 We'll find out soon enough: Our review of Iron From Ice, the first episode of Telltale's six-part Game of Thrones adventure, goes up late tonight (Pacific time, so morning in the UK).